Responding in a comment, the original poster specified that the plant was Morrenia odorata, an introduced, and invasive, vine in the Apocynaceae, the dogbane family. (Some authorities still list it under Asclepiadaceae, the milkweed family, which is now considered a sub-family, Asclepiadoideae, of Apocynaceae.) Its common names include latex plant, strangler vine, and, yes, milkweed vine. The responder's objection was that "Aclepias is milkweed." Period. Final. Absolute declaration. 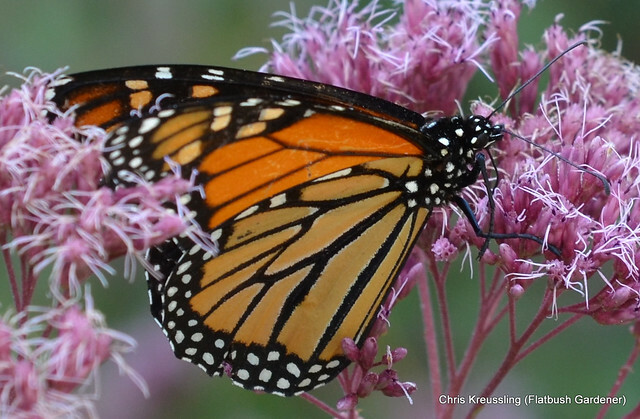 Common names like "milkweed" have no authority. Many plants have "milkweed" as part of their common name, not just Asclepias species. Cynanchum laeve, a native vine in the same family as Morrenia and Asclepias, has a common name of climbing milkweed, among several others. Why did the original poster include the id of the plant in their requesting for identifying insect eggs? Because they understand that many insect species depend on different types of plants. Specialist insect-host associations are common in the co-evolutionary biochemical arms race between insect herbivores and their host plants. I recognized it as a swallowtail. 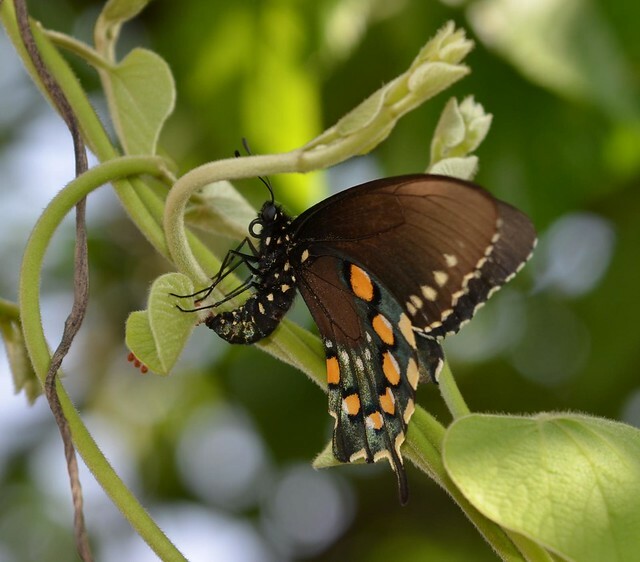 Knowledge of the plant - Aristolochia tomentosa, wooly dutchman's pipevine - id'd the butterfly as pipevine swallowtail, Papilo troilus. The caterpillars of this species feed only on plants in the Aristolochiaceae, the pipevine family, primarily - but not exclusively - Aristolochia species. And so it is with "milkweeds" and their most famous herbivore, the caterpillars of monarch butterflies, Danaus plexippus. The butterflies nectar on a wide variety of flowers. Their caterpillars, however, are specialized feeders on plants in the Apocynaceae. While they are most commonly associated with Asclepias species, they have also been observed on Cynanchum and Apocynum species. They have even been observed on a few plants outside of this family. So, when trying to identify insects, knowledge of plants, plant families, and their ecological associations is also important. Being pedantic about common names, not so much. I'm catching up on some of your posts. This is exactly right! I love how passionately detail-oriented you are - whereas I've grown lazy about such things. Thank you for your blog - keep at it!